Milbridge Farmer’s Market on Saturdays, 9am -12pm. Learn more. A and B Naturals. Bar Harbor, ME. Bulk Organic Wild Blueberries available fresh at the farm in 5 lb boxes after August 7th. 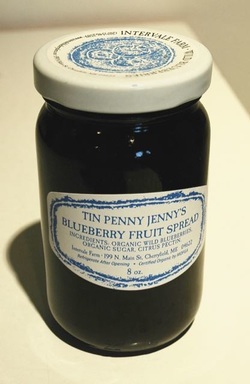 Just like jam but more of our organic wild blueberries and less sugar. Delicious on toast, yogurt, oatmeal, ice cream, and pancakes.